I know it’s September (whaaaatt?!) and it’s starting to get colder but I thought I’d post my final summer salad recipe because WHY NOT? (plus it’s actually kind of warm today – shock horror in England). This salad combines all the freshest ingredients with a light dressing as the fruits and vegetables really are the stars of the show. Also, I’m starting school again tomorrow! Oh my god, I can’t believe how quickly summer went! I really want summer again please, thanks! But I’m quite excited to start – is that weird? A perfect summer salad using fresh produce – try to get organic if possible and shop at your local market. 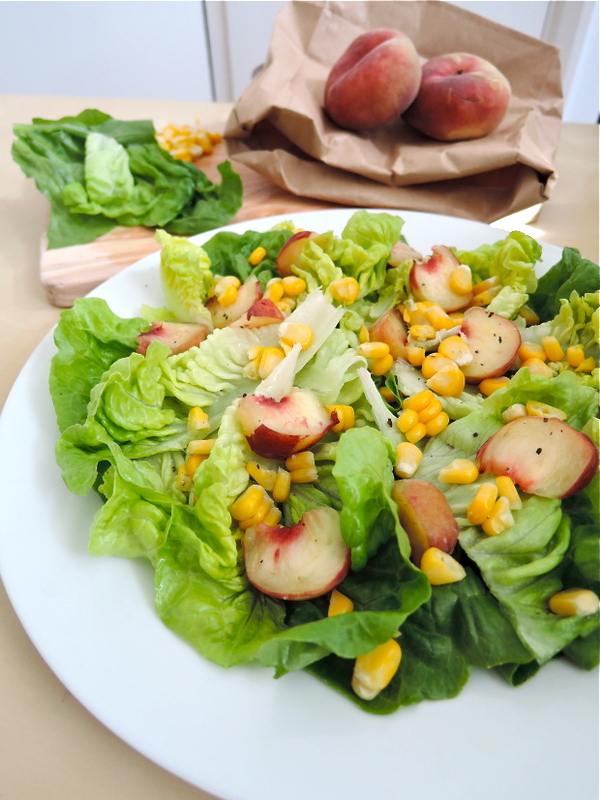 The peaches and corn provide sweetness, whilst the lettuce brings a mellowness to the dish. Don’t skip the freshly ground pepper as it gives a nice kick to the salad! Boil the corn for about 5 minutes until tender and sweet. Once cooked, run under cold water so cool enough to handle and cut the corn off the cob with a knife. Cut the peach into bite size pieces. Pull the leaves off the gem lettuce. Alternatively, you can cut into strips. Add olive oil and salt to the lettuce and lay on a plate. 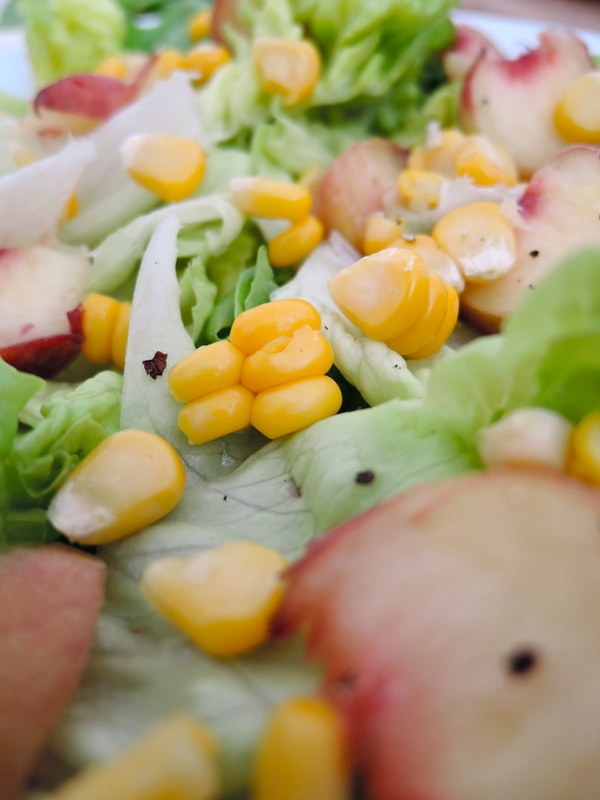 Top with peaches and corn and freshly ground black pepper. Serve immediately so the leaves don’t wilt. I love donut peaches! They’re the best aren’t they? And was I seeing things but did you have a post up about Japan? I saw donut peaches for the first time in my life in NY!! This salad looks great! Thank you for stopping by Ami! Thank you Audrina – I’m sure the fresh corn will be great in the salad! Can you believe I’ve never tried a donut peach? That needs to change starting with this yummy salad! Your life will change haha – they have a gorgeous, almost vanilla flavour to them! Thanks Stephanie! I’ve never tried a doughnut peach, either. They look adorable. 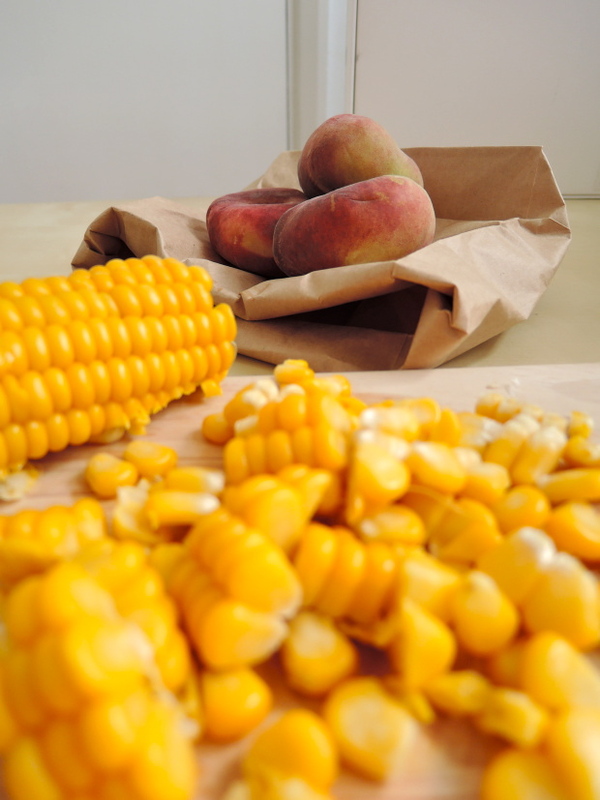 And peaches + corn are a divine combo, will definitely have to try this! Aren’t they just?! Thanks for commenting Myriam! Loving the vibrant colours and delicious flavours of this salad Millie.. never tried a donut peach before, definitely something I need to go out and find! Looks so delicious, easy and fresh! I just love simple salads like this! 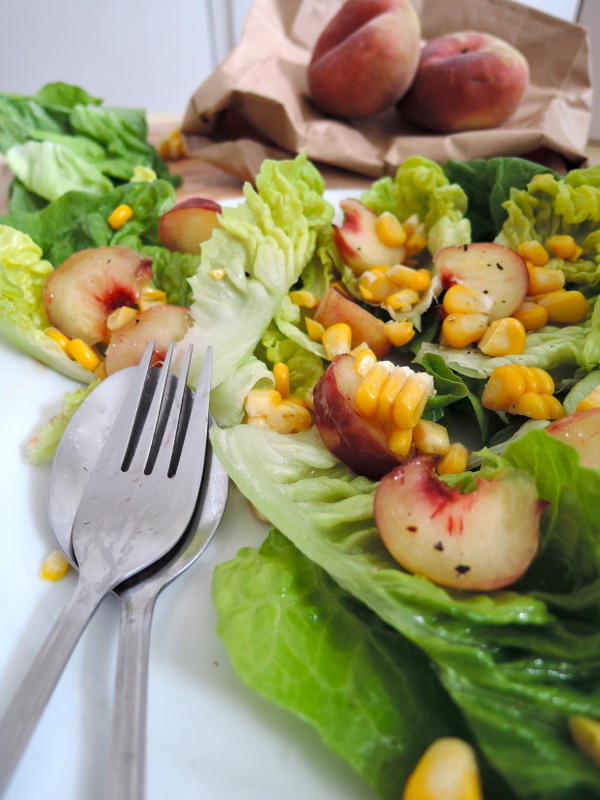 I’ve never had corn in a salad, it sounds like it would go well with the peaches though! I love putting fruit in salads, one of my favorites is peach + arugula! Yes – the salad is fantastic with the peppery arugula! I’m sure you’d enjoy the addition of corn! 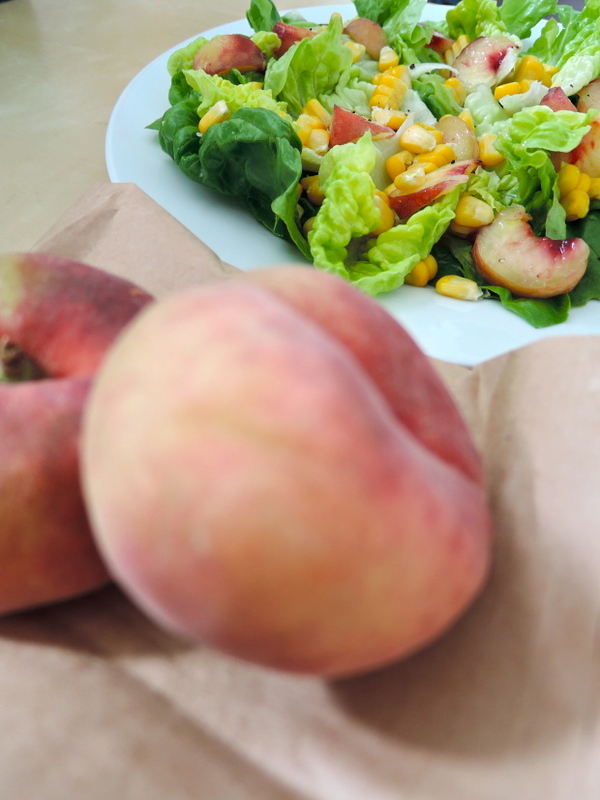 Peaches and fresh corn are two of my favorite salad toppings. This looks great! Good luck back at school! Thank you Luci! I’m glad you like the combination just as much as me!